On the first day of the COP21, there was an unprecedented step forward on one of the toughest issues facing negotiators. 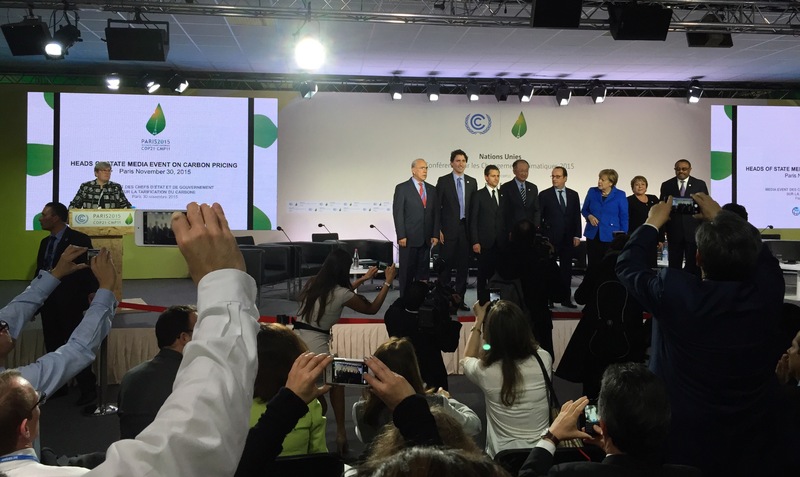 The Carbon Pricing Leadership Coalition is now part of the global policy-making environment. The Coalition includes governments, intergovernmental agencies, businesses and nonprofits, who all agree the world needs to be pricing carbon fairly, effectively and efficiently, as soon as possible. In a crucial step forward, Canada joined the CPLC, and took the opportunity to highlight the four provinces already putting their own price on carbon, either through a revenue-neutral carbon tax or an ETS. The Vice President of the oil company Total said all viable options should be deployed, whereever possible, whether they are aligned or not, linked or not. In other words, we do not need a global regime to achieve carbon pricing around the world. A few years ago, an idea began to circulate within the climate team at the World Bank: for the world’s most powerful development bank to achieve its two core missions—motivating sustainable economic prosperity and ending poverty—the world would need to align economic policy with climate responsibility by deploying carbon pricing policies that keep everyone honest and make our economy work for our future, not against it. In the summer of 2014, that team began building support for an open statement calling for a price on carbon. 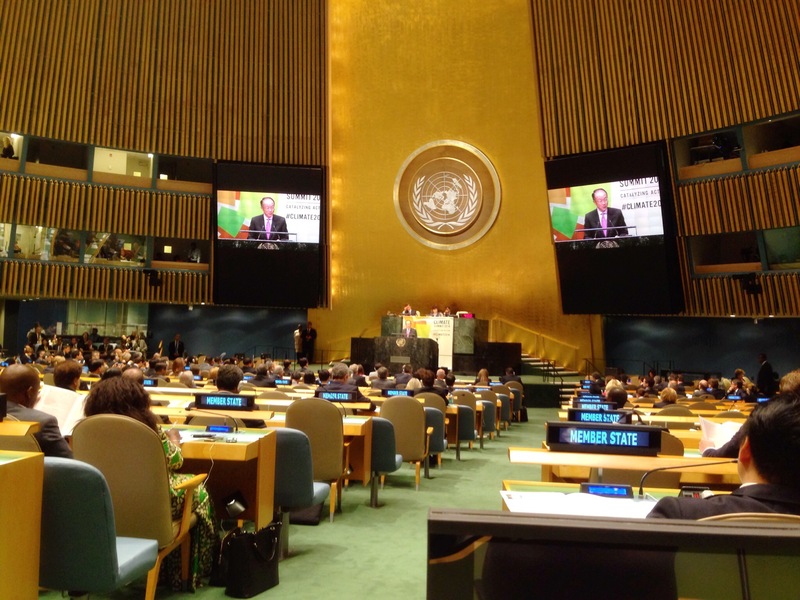 It would be introduced at the UN Secretary General’s Climate Summit, on September 23, 2014. By the time it was released, it had the support of more than 70 national and subnational governments, and more than 1,000 corporations, including major oil companies. The list of supporters accounted for 52% of global GDP. Since late 2014, that list of signatories, which included many non-governmental organizations, began to come together to talk about how to work for deployment of smart carbon pricing strategies. Throughout 2015, key strategic partners joined meetings where oil companies sat with environmental groups and major national governments, and discussed a way to collaborate going forward. In September, partners gathered to design the governance structure and work plan for this new coalition. At that meeting, the strategic partners made revisions to a draft governance strategy and supported the standard of all partners being treated as equals at the table. The principles were derived from conversations and consultations with a diverse range of partners, including advocates for emissions trading and for carbon taxes, who often disagree, as well as environmental NGOs and oil companies. The FASTER principles aim to show the way for accelerating the deployment of carbon pricing, globally, by letting governments design policies that work best for their circumstances, but that are transparent, effective, and fair. Today, at Le Bourget, just outside of Paris, inside the COP21 climate negotiating venue, the Carbon Pricing Leadership Coalition officially launched. It is now a new global institution with the ability to convene meetings, make policy, and suggest solutions to those with the power to implement them. The meeting included the adoption of a work plan. The agreed mission, among the partners, is to ensure no nation misses the opportunity to add effective, efficient, equitable carbon pricing to its national climate strategy. As the Paris agreement will come into full legal force in 2020, the goal is to add carbon pricing to all national strategies by that time, to ensure the most cost-effective way to implement a true global response to climate disruption. This means one of the major challenges facing the world now has a major force working in favor of success. It has been said that “carbon pricing is not on the table in Paris”. That idea comes from a misconception about what the table is made of. Many believe the Paris table is the text of a new climate treaty. In fact, it is four pillars, one of which involves the text of an agreement, and various legal decisions of the 196 nations that have ratified the 1992 UN Framework Convention on Climate Change. and action platforms for implementation. The Carbon Pricing Leadership Coalition is one of these action platforms. It will be doing business no matter what happens to the other three pillars. After the CPLC launch, Rachel Kyte—the World Bank Vice President and Special Envoy for Climate—moderated a Heads of State Media Event on Carbon Pricing. Joining Rachel were Prime Minister Justin Trudeau of Canada, President Enrique Peña Nieto of Mexico, Chancellor Angela Merkel of Germany, President Michelle Bachelet of Chile, and Prime Minister Hailemariam Desalegn of Ethiopia, as well as World Bank President Jim Yong Kim and Ángel Gurría, the Secretary General of the OECD. The event was a vocal and diverse endorsement of carbon pricing as the most effective, efficient, and catalytic policy choice for motivating a rapid transition to a clean-energy economy. 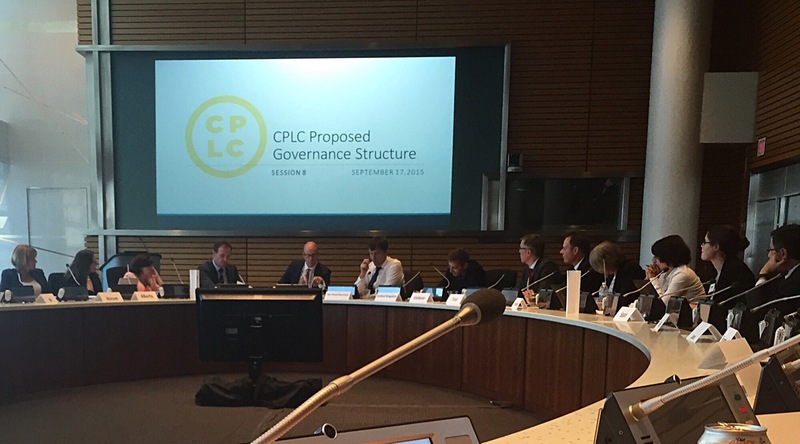 The Carbon Pricing Leadership Coalition is a breakthrough for inclusive global policy-making. NGOs that want to eliminate carbon emissions will join major oil producing countries and companies, in a dialogue of equals, at a table convened by a major international institution, to negotiate a smart transition.